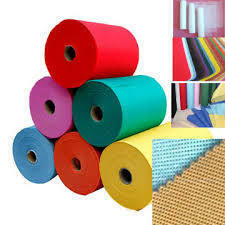 Providing you the best range of fancy non woven rolls, colourful non woven rolls and non woven rolls with effective & timely delivery. Under expert guidance of craftsmen, we are providing our clients with a vast gamut of Fancy Non Woven Rolls. The offered range is widely appreciated among our valued clients from every nook and corner of the country. 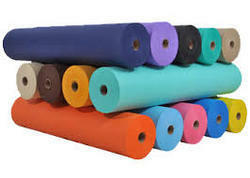 Light weighted Colourful Non Woven Rolls are offered by us that are highly demanded for their abrasion resistance. This product is commended by our clientele for its exclusive performance and premium functions. We, Kavita Exporters, are considered to be among the prominent and leading manufacturers, traders and exporters of Non Woven Rolls.